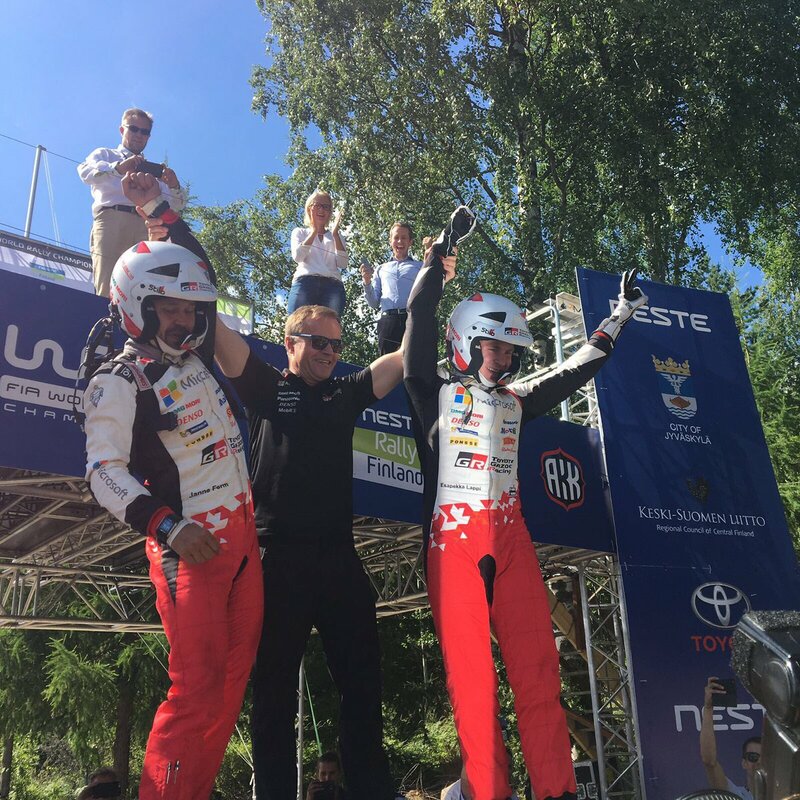 Esapekka Lappi scored his first World Rally Championship win on Rally Finland last weekend, one of the most spectacular and specialist events on the WRC calendar. It has been a meteoric rise for the young Finnish driver, who only made his debut at the top category of the WRC in May this year. So here we take a closer look at Lappi, his career to date and some of the highlights that suggest his win in Finland was not totally out of the blue. Lappi was born in Pieksämäki, about an hour or so from Jyväskylä, the university town around which Rally Finland is based. But his early career was actually in karts, winning the Finnish karting championship in 2007. He switched to rally two years later and in 2011 he competed in his first Rally Finland – behind the wheel of a Citroën C2 with Janne Ferm as his co-driver. The following year really put Lappi on the radar. Aged just 21, he won all seven rounds of the Finnish Rally Championship on his way to the title. Picked up by Skoda Motorsport in 2013, he reached further milestones, winning three out of six events on the Asia Pacific Rally Championship. He competed on selected Tarmac rounds of the European Rally Championship that year too, winning the Rallye International du Valais in Switzerland. He also competed in selected WRC-2 rounds in 2013, winning the class on Rally Portugal, where he also scored his first WRC point, finishing 10th overall. His career took another step forward in 2014 when he picked up his first title, winning the European Rally Championship. The following year, Lappi continued to build his WRC experience, contesting eight rounds in the WRC-2 category. He took four podiums that season, including class wins in both Rally Poland and Rally Finland. He finished eighth overall in Finland. 2016 was another watershed moment in Lappi’s career as he won the WRC-2 category outright, with wins in Finland, Germany, GB and Australia. “This is one of the biggest days in my life,” said Lappi as he was crowned champion Down Under, but he was soon to take another big step in his career. In December 2016 Lappi was announced as Toyota Gazoo Racing World Rally Team test driver, under the tutelage of four-time WRC champion and team boss Tommi Mäkinen. While Lappi took part in various test sessions at the start of 2017 his big opportunity came in May when Toyota announced it would run a third car (alongside regular drivers Jari-Matti Latvala and Juho Hänninen) on Rally Portugal and a few other selected rallies in the 2017 season. On that first event there were signs of the success that was to follow. True to his word he finished 10th on Rally Portugal, but he also finished fourth fastest on the WRC points scoring Power Stage, taking his tally to three points on his first competitive outing in the Yaris WRC. Rally Italia Sardegna, Lappi’s next outing in the Yaris WRC, was even more exceptional. He set six fastest stage times on the event, including the Power Stage, to finish fourth overall and take his WRC points tally to 20. You have to roll with the punches to be top rally driver and Lappi had to deal with disappointment on his third outing in the Yaris WRC – Rally Poland. While running in the top five overall, he retired citing suspension damage. No finish, no points. How you deal with disappointment can be as motivating as how you deal with success. With Esapekka, the person you see is the person you get, according to Becs Williams, the voice of WRC Live Radio. “He’s determined and focused, as all competitors are, but he shows a massive amount of sincerity and a very real human quality,” explains Williams. “He’s direct and tells it how it is. You get the sense that whatever he says is the truth – creating smokescreens is not what he is about. He’s there to drive and that’s it. No more no less. After the short special stage on the Thursday evening, the ‘Finnish Grand Prix’ got under way in earnest on the fast, flowing stages around Jyväskylä on Friday. The Yaris WRC was flying, scoring nine fastest stage times – and incredibly Lappi set eight of them. Team mate Latvala described him as “a hurricane”. At the end of that second day Lappi lead the rally by just over four seconds from his more experienced team mate. Latvala roared back on the Saturday morning setting the fastest times on all four of the early stages but an electrical problem sunk his chances to fight for victory. Lappi took another stage win in the afternoon – the second run through the famous Ouninpohja stage – which earned him a comfortable 49 second lead going into the final day. Could he cope with the pressure? He tweeted as much to his followers. And that’s exactly what he did. He kept his cool and delivered his team’s second victory on its return to the WRC, and his first in the top echelons of the sport. Only then could he let his emotions out. However, his boss Mäkinen did.